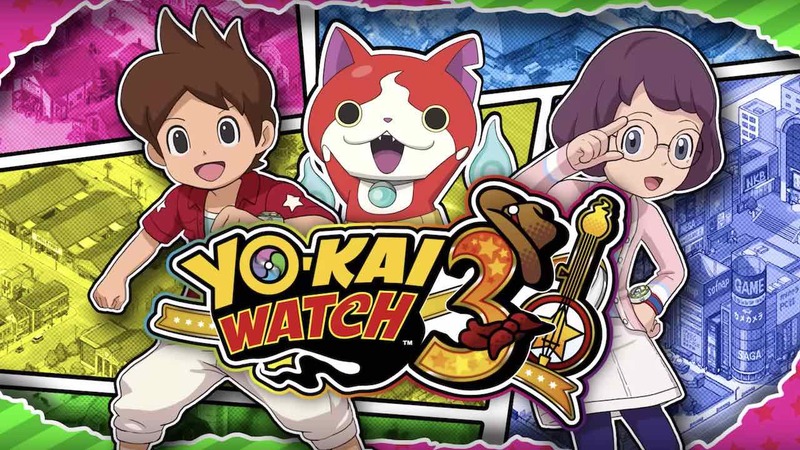 Nintendo of Europe has announced when Yo-kai Watch 3 will release for Nintendo 3DS in the region, which arrives far sooner than expected. The next mainline game that LEVEL-5 has created for their mischievous world of Yo-kai is packed with new content and features like new locales, characters and an all-new grid-based battle system. Yo-kai Watch 3’s story starts when Nate’s father is offered a new job that forces them to leave Springdale and relocate to a town called St. Peanutsburg in the country of BBQ. Having replaced his broken Yo-kai Watch with the new Yo-kai Watch Model U, it’s doesn’t take long before he is caught up in more mysteries. FBY agents soon knock at his door to see if he’s aware of the UFO that has recently crash-landed in the area. But, unable to help, he sets off to investigate with Whisper and Jibanyan. Whereas, back in Springdale, new protagonist Hailey Anne Thomas – a geeky detective wannabe – is on the hunt for a limited-edition character figure. When she enters a shop with high hopes, a mysterious voice soon encourages her to buy a Yo-kai Watch Model U. She soon discovers the voice belongs to Usapyon, and comes to understand the Yo-kai’s reason for wanting her to buy it. They team up, opening a detective agency to solve the troubles of Springdale. Those that have played Yo-kai Watch 2: Bony Spirits, Yo-kai Watch 2: Fleshy Souls or Yo-kai Watch 2: Psychic Specters can link their games with Yo-kai Watch 3 to have the chance to befriend an S-Ranking Yo-kai. While those that have played Yo-kai Watch Blasters: Red Cat Corps or Yo-kai Watch Blasters: White Dog Squad can unlock an exclusive Yo-kai from both games. Yo-kai Watch 3 will release exclusively for Nintendo 3DS in Europe on December 7th, and across North America on 8th February 2019. So, yet another game that will flop in sales due to the majority of 3DS owners moving on to Switch- Nintendo’s own quarterly reports even prove it as the 3DS sales dropped 65% year-on-year. Games now go to it to die!